Here’s another movie about blowing up the White House. We’ve had our fair share of these movies at least just in 2013 so I was feeling quite lukewarm going into the White House Down screening. But it does have two of my favorite actors in Jamie Foxx (since Willie Beamen in Any Given Sunday) and Channing Tatum (She’s the Man) so I went. So what does the latest capitol destruction movie have for us this time? White House Down is from director Ronald Emmerich. Know him? From the movie 2012. Or the movie The Day After Tomorrow? Independence Day? See the trend? All of these movies have something in common and that thing does not bode well for the White House. I didn’t really have any expectations going into the movie. The trailer I saw had Channing Tatum and Jamie Foxx running around with some comedic lines so I wasn’t quite sure if it was really a serious movie or some sort of action movie parody. John Cale (Tatum) is a former soldier who now works as a bodyguard for the government. His dream job is to join the secret service and become bodyguard for top dog which is the president of the US (Foxx). He is denied the job but in order to impress his daughter, he stays around and joins the White House tour. That’s when a terrorist group lays siege to the White House by blowing it up in hopes of kidnapping the president and holding him hostage. Our unwilling hero, Cale, now tries to get his daughter out of the White House, but in the process, runs into and has to protect the president. Channing Tatum is no stranger to action star roles and this one is no different. The movie needed someone who can play a macho role both physically and psychologically, someone who can pull off cheesy jokes, someone who can do a concerned dad role, and someone who looks good on screen. Channing fits the role perfectly. Second main character is a non-traditional black president who is smooth, cool and serious at the same time. Jamie Foxx… let’s face it, he can play any role. He’s that awesome. I must mention that Joey King (Crazy Stupid Love) does a great job in playing the role of Tatum’s daughter. She plays the sweet, innocent and rebellious girl so well. The other characters are from big names like James Woods (Hades from Hercules). I didn’t even know he was in this movie but I really like him. Maggie Gyllenhaal (Rachel from the Dark Knight – she replaced Katie Holmes in the second one) did an ok performance. They didn’t really write a lot for her in this one. A surprise appearance was Lance Reddick (Boyles from Fringe). He just has a signature way that he talks and he brings it wherever he goes. It’s awesome. Nothing complex here. It’s an action packed story where terrorists try to take over the White House to get to the president. Terrorists get the upper hand, hero tries to save the day, hero gains advantage, terrorist gains advantage, hero makes a smart move, hero wins. They give the hero a bunch of flaws in the form of being the underdog and having a child that hates him. This is nothing new and that’s not a bad thing. 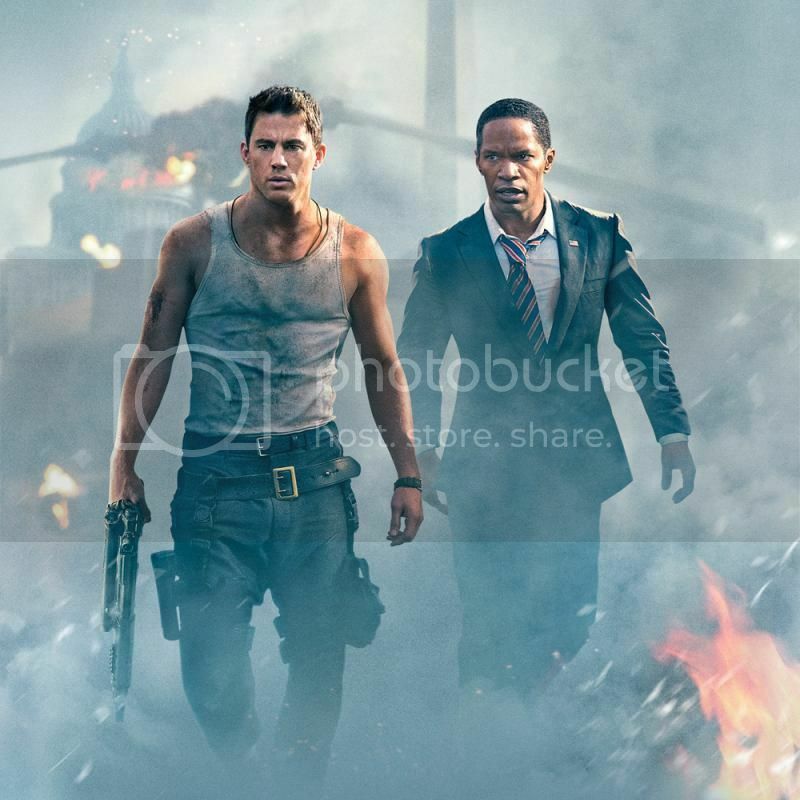 I had a great time with White House Down, much more than what I was expecting. It’s an action packed movie that does not stop shooting and exploding once it starts. It brings nothing new to the table in terms of action movie formula but I still had a great time with it. People looking for a mindless movie with a lot of eye candy (for the ladies) should go into cinemas to watch this. White House Down is from Columbia Pictures and shows in Philippine theaters on July 3.